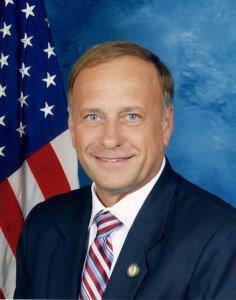 You are here: Home / News / Can Steve King be a ‘kingmaker’ in Iowa’s 2016 Caucuses? Can Steve King be a ‘kingmaker’ in Iowa’s 2016 Caucuses? Steve King’s role as co-host of this weekend’s big political event which will feature about a dozen potential GOP presidential candidates has sparked speculation that the congressman might be a “kingmaker” if he endorses a candidate in the 2016 Iowa Caucuses. King has said he waited too long before endorsing Fred Thompson just before the 2008 Iowa Caucuses and, while he did not officially endorse a candidate in 2012, King gave a strong hint. But Steve King isn’t the only potential “endorser” in Iowa who presidential candidates will court this year. Just this week, agribusinessman Bruce Rastetter — a major donor to GOP candidates and causes — announced he plans to host a presidential candidate forum in early March, focused exclusively on agricultural issues. And Bob Vander Plaats leads The Family Leader, the conservative Christian organization that plans to host a series of events featuring presidential candidates. Doug Gross, the Iowa Republican Party’s 2002 nominee for governor, said the flurry of “cattle calls” for GOP presidential candidates is the “unintended consequence” of the Republican National Committee’s decision to limit the number sanctioned debates among the candidates. And Gross contends it means there’s “a danger” special interests could “hijack” the 2016 race, plus he expects the multitude of candidates to be risk-averse in those kind of “cattle shows” as candidates parade through the event, one after the other. “So these are going to be the same old thing, over and over again and what’s going to happen, for caucus goers, is it’s going to be kind of a cacophony and they’re going to have a very difficult time sorting out one from the other,” Gross said. John Stineman worked for Phil Gramm’s campaign here in 1996 and then managed the Iowa Caucus campaign for Steve Forbes four years later. Stineman said there are a number of “high-profile” Republicans in Iowa that represent key constituencies that any candidate would like to communicate with. Trudy Caviness, the long-time chair of Wapello County Republicans, said a “big-name” endorsement has broad reach throughout the state, but the backing of a grassroots activist can “carry greater weight” at the local level. “Sometimes people take those endorsements more seriously because they know the person,” Caviness said during an interview with Radio Iowa. Judy Davidson is in her third term as chair of Scott County Republicans and she agrees that a local activist who endorses a candidate can effectively “bend the ear” of neighbors, co-workers and friends on a daily basis to tout their choice. “I don’t want to diminish the higher-profile politicians’ endorsement. That also is important. It’s just a different kind of endorsement. You’re looking at people who you respect as a politician, like Senator Grassley or Congressman King…and we respect their opinions,” Davidson told Radio Iowa. Senator Chuck Grassley endorsed two-time Iowa Caucus winner Bob Dole in 1988 and 1996. Governor Terry Branstad endorsed Dole’s second bid for the White House as well and, in late 1995, Grassley and Branstad played key roles as surrogate campaigners for Dole in Iowa because Dole, who was the senate majority leader at the time, was stuck in Washington negotiating with President Clinton and House Speaker Newt Gingrich over a government shutdown.